Posted By:Unknown | At:7:08 AM Be the first to comment! 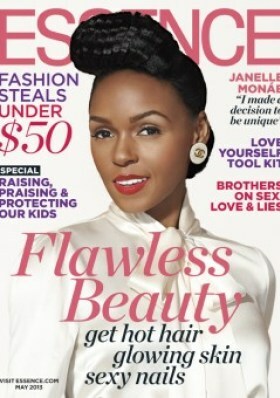 I swear it's about damn time Janelle Monae has made it on the cover of Essence magazine. I can't be the only one who was wondering what took so long. Everything about this chick screams Essence cover. Ms. Monae is on the cover to promote her new album, "Electric Lady," which is due this summer. In the article, Monae talks about her style and why she insists on covering up.